aptops have already become all-purpose machines. We use them to work and play: watch videos, play games, complete business tasks, create projects and many more. In this multifunctional spirit I am going to show you a laptop that fits the profile both of powerful entertainment machine at home and makes a great business assistant too. 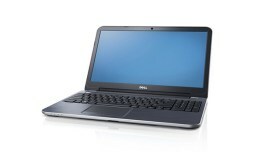 Digital Magnet presents Dell Inspiron 5521. Our test sample impressed with its appearance. The unique design comes with the smooth brushed blue surface of the case. Its shape and the nice blue color are underlined by the bright rim along the notebook edges. The display features a 15.6’’ LED backlit display that is offered in HD and FullHD resolution respectively with True Life technology or Anti-Glare technology. The multimedia experience is further enhanced thanks to the stereo speakers that feature Waves MaxxAudio 4 processing. The CPU selection is totally up to you. The options are various: Inel Celeron, or Intel Pentium respectively at 1.5GHz or 1.4GHz. This machine can also be loaded with the 3rd gen IntelCore i3, i5 and i7. The last one comes with 4MB of cache and its performance can be boosted up to the working frequency of 3GHz. The best news is that you can equip this machine with up to 1TB of hard drive space at 5 400rpm. The RAM can reach the capacity of 8GB shared dual channel DDR3 memory @ 1600MHz. The graphics are delivered by 1GB AMD Radeon HD or you can also put integrated Intel HD Graphics 4000 with Ivy Bridge processor. The keyboard is island-style that is the most comfortable one for fast typing, it also features a numpad. The touchpad below is positioned a little bit to the left and is a standard one. It is perfectly responsive too. There are two options for the battery a 4-cell 40 wHr Li-Ion one or a 6-cell 65 wHr Li-Ion battery. The web communication here is established by the 1MP HD webcam that features a built-in microphone. 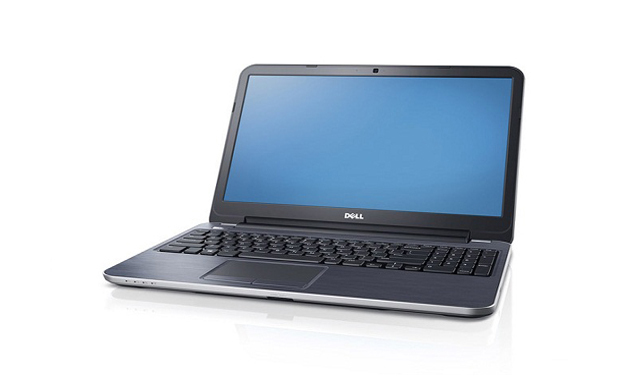 The Dell Inspiron 5521 weighs the considerable 2.2 kg. The case periphery offers plenty of ports and slots: there are 4 USB 3.0, an HDMI port, VGA out and an 8-in-one card reader slot. Dell offers this machine with the brand new Windows 8.